ABSOLUTELY GORGEOUS HOME IN GUARD GATED PALM HILLS COMMUNITY! Huge Corner Lot w/RV Parking! 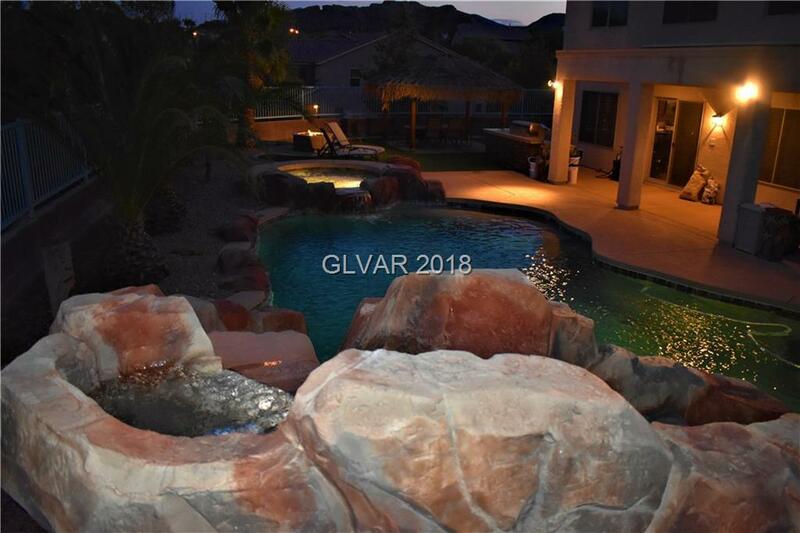 GORGEOUS ROCK SLIDE PEBBLE-TECH HEATED POOL/SPA! Firepit & Covered Patio! CHERRY CABINETS! Stainless Steel Appliances & Granite Counters in Kitchen! TRAVERTINE! Tons of Storage Space! SPACIOUS MASTER SUITE! Vessel Sinks & Upgrade Faucets in Master Bath! SOLAR SCREENS! Cherry Wood Plantation Shutters & Blinds! PLUSH CARPET! So Many Upgrades - WILL NOT LAST! Directions: From Gibson & 215, South On Gibson, Left/East On Horizon Ridge, Right On Voltaire Towards Guard, Follow Straight, Right On Tosaa De Mar - First House On Corner.